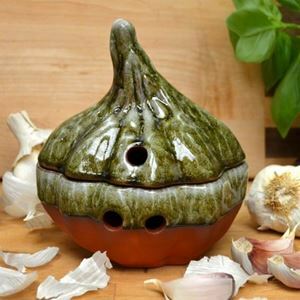 Our small terracotta garlic pots (or garlic keepers) provide natural conditions necessary for storing garlic for longer periods without sprouting. 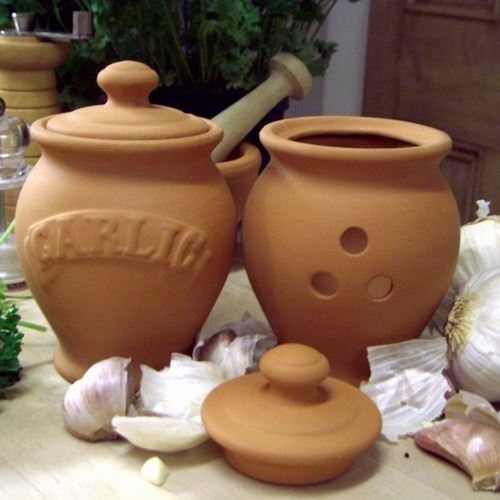 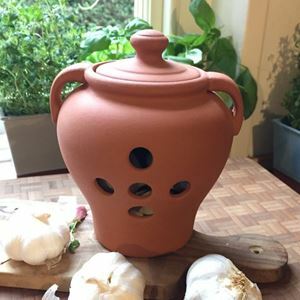 The three holes in the side of these garlic pots provide adequate ventilation, the natural porosity of the terracotta helps to reduce humidity & the darker conditions helps to prevent early sprouting. 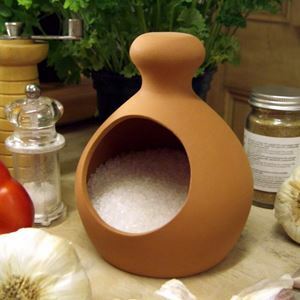 Comes embossed with 'garlic' on the pot, so you'll never forget to add garlic to your savoury recipes! 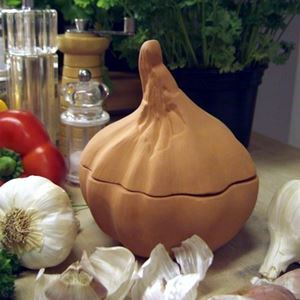 Suitable for storing two garlic bulbs.